Custom coins and medallions. Includes 4 soft enamel colors per side. Standard finish is antique brass - but many different finishes are available (gold, silver, copper, etc) Individually polybagged. Setup includes both sides based on 2D design. 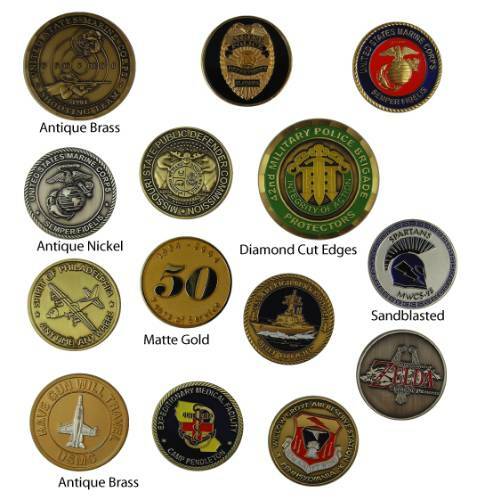 These coins are very popular as military challenge coins aka unit coins - but are also used for coprorate promotions. Standard packaging is individually polybagged. Snap fit coin cases and vinyl pouches are also available. Custom coins and medallion. Standard finish is antique brass but many other finishes available including gold, silver, copper, etc. Includes up to 4 soft enamel colors per side. Individually polybagged. Setup includes both sides based on 2D design. 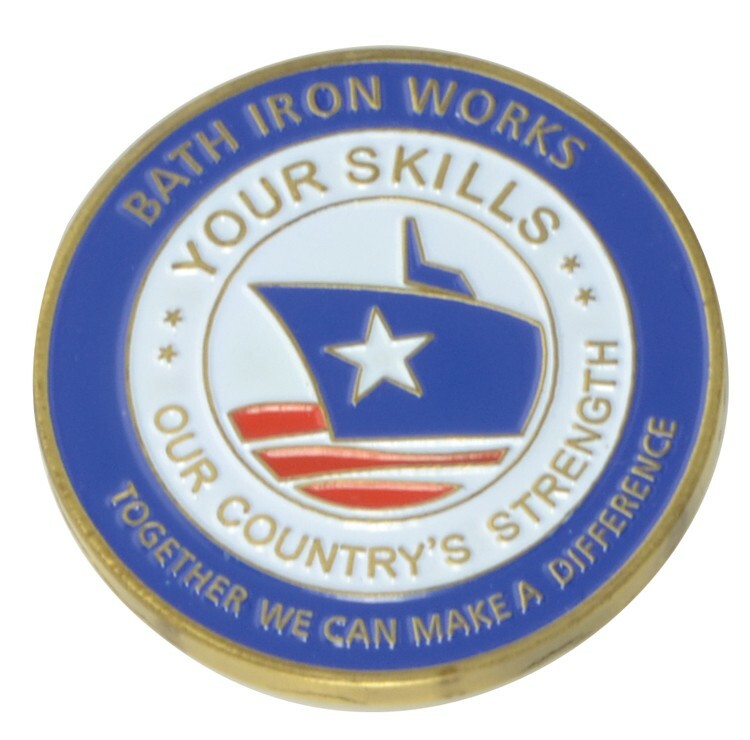 These coins are very popular as military challenge coins aka unit coins - but are also used for corporate promotions. Standard packaging is individually polybagged. Snap fit coin cases and vinyl pouches are also available.